Contains all 3 of the Short Stories listed below and a bonus, exclusive short story: The Dragon’s Prelude. The Empire of Chesia has been united under the iron fist of the Red Dragon. Now, the self-proclaimed Emperor has called his generals together to plan war. The nations of Garton and Andivar further the Emperor’s goal to control all of the trade in western Zaria. But the Emperor has smaller, and closer, targets in mind. A Short Story of approximately 2,000 words. The tiny nation of Jarin has enjoyed an era of unprecedented prosperity at the expense of the weak leadership in the Empire of Chesia. But now, an Emperor has risen that has refused to submit to the Jarin taxes. 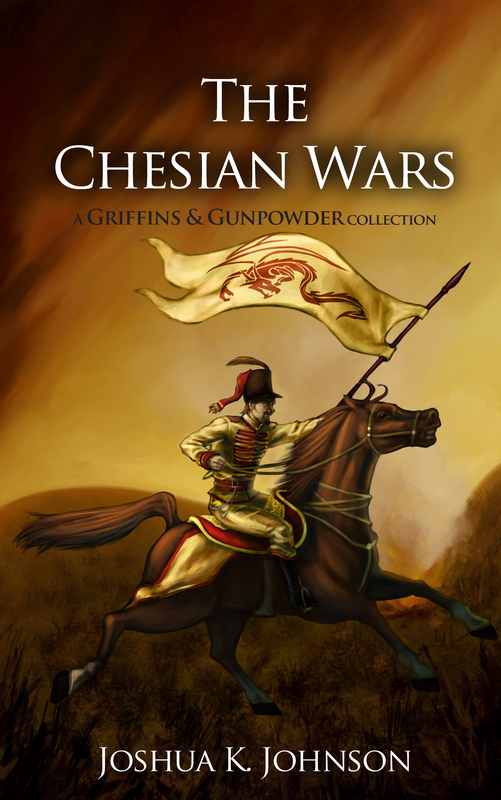 Acheron Tavoularis knows that an invasion is imminent and leads his soldiers in a desperate defense against the more numerous Chesian invaders. On the other side of the field, Vladik Ortoff reluctantly leads hia Imperial soliders against an adversary that would be best ignored. For centuries, the nation of Malkala has bought peace with the larger, though fractured, Empire of Chesia through trade subsidies and bribes. Now, a warlord has united the Empire under his Red dragon banner and he’s not interested in buying from Malkala; he wants to own it. The officers of the Army of Malkala now face a juggernaut many times its size and face the temptation of gold and lands; a temptation not everyone can resist. Malis Acantha sees the writing on the wall. The Empire of Chesia has been united under the iron fist of a man that styles himself as the Emperor. Now the Grand Duke of Welos has traveled far and hard to gather allies to his cause: to stop Chesia before their insatiable hunger crushes the nations around them. The friend that he thought he would find, however, is not the man that he remembers.